The competition closes at 23:59 on Sunday 8th January 2017. Entries received after this time will not be accepted. The competition can be entered by posting a message to the Family Holiday Association to say which team building event on the Solutions for your Resolutions webpage you and your team are interested in taking part in. The message can be posted as a Facebook message to the Family Holiday Association or a comment on the competition post, on Twitter, or as a comment on the Instagram competition post. 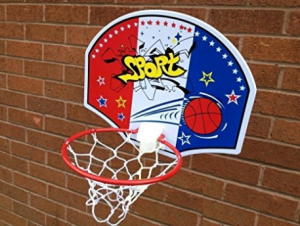 The prize is one office basketball net that can be hooked over a door or screwed to a wall. The work address of the winner will be requested in order to receive the prize.